Check out Boat Magazine’s top 12 Christmas gifts. Boat Magazine is the global authority in superyachting, celebrating the yachts and the life that comes with them. Whether it’s sipping a cocktail while enjoying Christmas in the Caribbean or putting on a classic black-tie watch for a formal event, everyone likes to look their best during the festive season. With this in mind, find your friends and family gifts they’re guaranteed to love with our edit of the best luxury beauty and grooming products to leave under the tree this year. 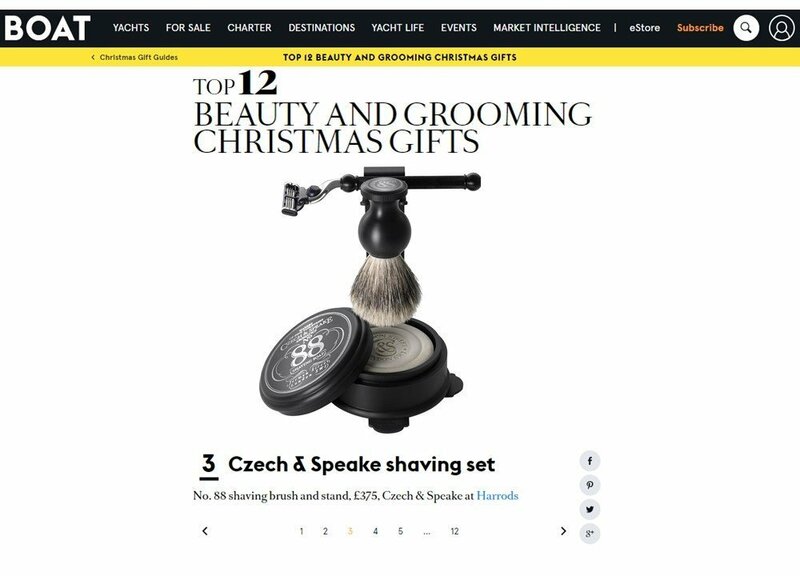 They included the beautiful No.88 Shaving Set & Stand in the mix, that will look superb on the bathroom shelf of your superyacht.